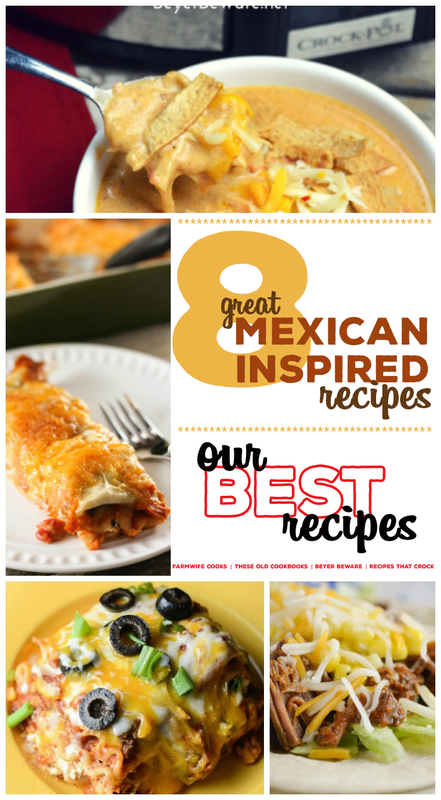 8 Great Mexican-Inspired Recipes (Our Best Recipes) - Recipes That Crock! Are you looking for great Mexican-inspired recipes? 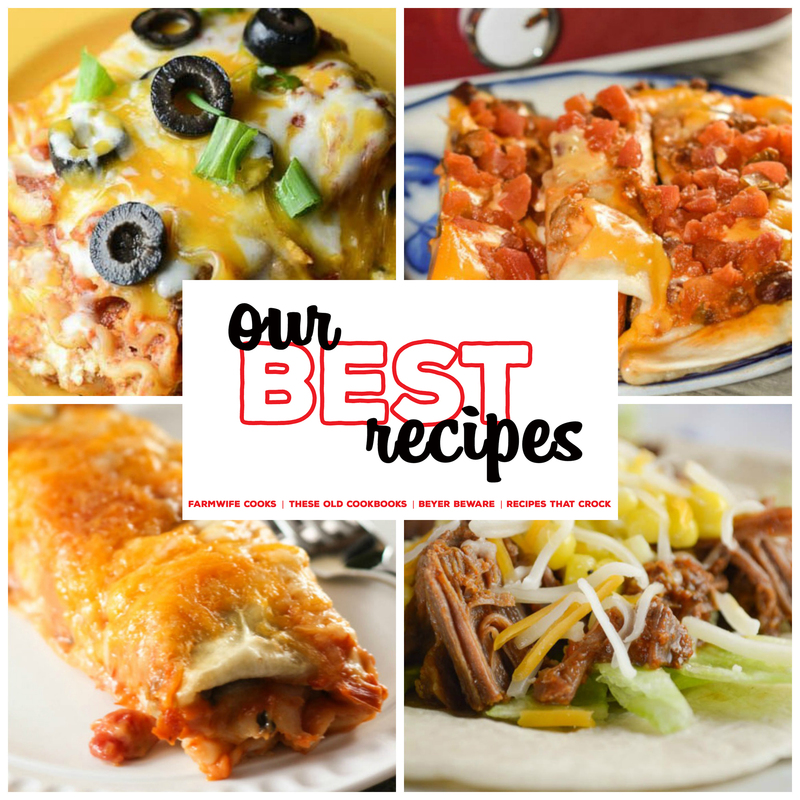 Our Best Recipes Series continues with dishes like Burrito Style Beef Enchiladas, Crock Pot Low-Carb Chicken Tortilla Soup, Crock Pot Mexican-Inspired Lasagna, Taco Bake, Crock Pot Low-Carb Taco Soup, Crock Pot Ground Beef Acapulco Enchiladas, Crock Pot Tex Mex Chicken Tacos and Electric Pressure Cooker Taco Beef. My girlfriends and I are really big Taco-Tuesday fans so we have a lot of great go-to Mexican-inspired recipes among our kitchens! Today we are sharing them with you in our next edition of Our Best Recipes Series.